Inherent Music presents the highly anticipated release of "It’s About Time," the sixth CD from IRIE TIME, a band of culturally-diverse musicians delivering a vibrant and unique combination of reggae, rock and jazz. The CD features all new songs from the group and includes exciting Dub versions on the same disc. IRIE TIME was recently hailed as "one of America’s leading exponents of roots rock reggae" by the international world music publication The Beat magazine. Irie (pronounced 'eye-ree') is a Jamaican patois word that means 'feeling great', and IRIE TIME’s music has been described as "a blend of reggae, soca and dub grooves that is just about as refreshing as a bottle of Ting grapefruit soda on a sweltering Trenchtown summer day." [The Houston Press] Masterful instrumentation and strong melodic composition combine with island rhythms to give the band what can truly be called a world class sound. Houston-based IRIE TIME has been entertaining audiences for more than a decade. Tracks from the band’s prior Island Romance CD were recorded in Kingston, Jamaica and were produced by legendary guitarist Earl 'Chinna' Smith of the Wailers band, and Ziggy Marley and the Melody Makers. IRIE TIME recently performed a series of dates in Europe, and their prior release, Live Up, took listeners stage-side with an exhilarating live album. A collection of IRIE TIME’s songs entitled Reggae Hits Volume 1, along with two videos, were released nationwide in the country of New Guinea. 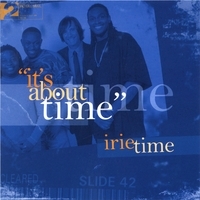 Excerpts of IRIE TIME’s music and additional information can be found on their official web site, www.IRIETIME.com. IRIE TIME's "Live Up" album also available at http://www.cdbaby.com/cd/irietime .